Bite Registration - Lab Depot ltd. Exceptional Handling, even faster setting and high end hardness ease daily work. Jet Blue Bite bite registration material flows with a smooth whipped-cream consistency exactly where you want it in a predictable quantity and ideal ribbon pattern. It offers a fast oral setting-time and sets rock hard for greater accuracy but is still flexible enough for easy trimming or cutting. The superior handling characteristics are the key for a perfect occlusal fit on the first try. No resistance to closure, no rebound! 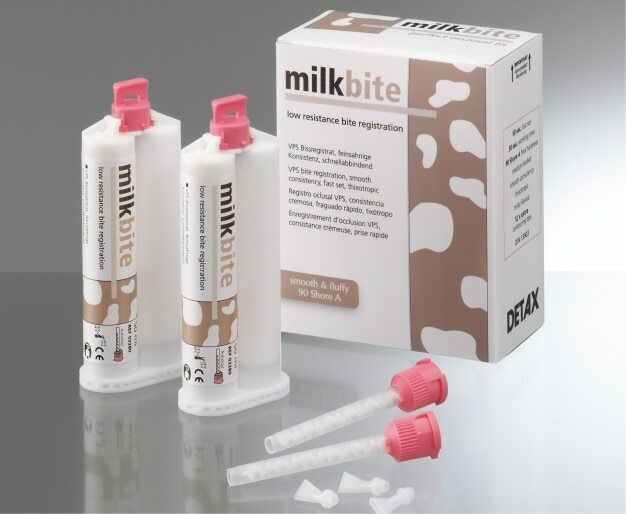 Makes identification and fixation of the natural bite position without interference significantly easier. Time-saving direct application to the dentition, does not flow away into the interdental spaces, easily removed from mouth. Convenient processing time and extra short oral dwelling time (approx. 50 sec. ), patient-friendly. Fracture-resistant, can be milled and cut. Final hardness: approx. 90 Shore A, Medical device Cl. I. Virtual Bite Registration Material No matter if you are using the open or closed bite technique, having a predictable and accurate bite for model articulation starts with the perfect bite registration material. 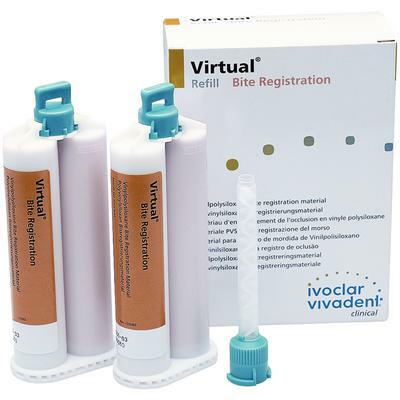 Both Virtual Bite Registration and Virtual CADBite are fast-setting, strong, non-slumping registration materials. 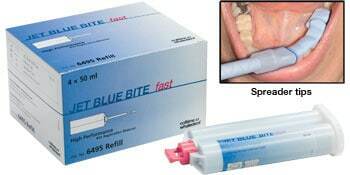 Fast With fast intra-oral set times, the risk of distortions and inaccuracies due to patient jaw movements with Virtual Bite Registration materials are substantially reduced. Strong Due to the high final hardness and high fracture toughness, both materials are easy to trim. Moreover, undesirable shifts are prevented when adjusting the position of the casts in the articulator.